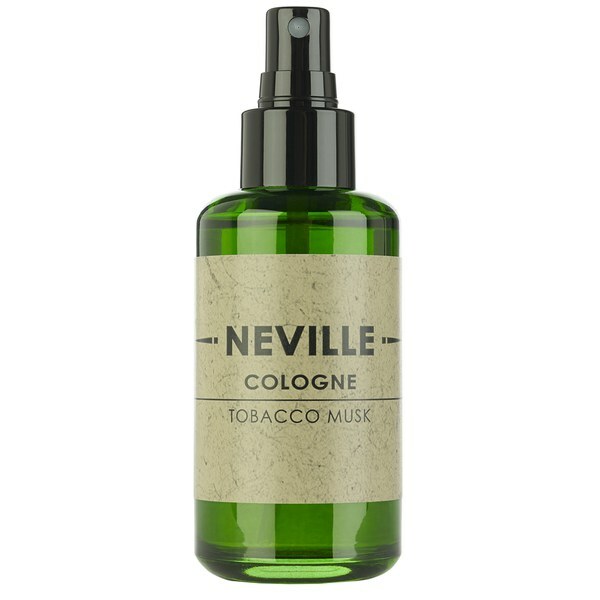 Capturing modern masculinity in a bottle, Neville Tobacco Musk Cologne is an earthy, oriental scent that blends citrusy top notes of bergamot and grapefruit with a subtle heart of clove and frankincense. Giving way to a deep and woody base, a lingering mist of vanilla and cedarwood finish the scent with a gentlemanly musk. Top Notes: Bergamot and Grapefruit. Middle Notes: Clove and Frankincense. Base Notes: Vanilla and Cedarwood. Classic British 'old world' packaging meets modern performance. Neville pride themselves on past inspirations whilst upholding modern standards with naturally derived ingredients and formulas. Brought to you by the same team who created award winning beauty and lifestyle brand Cowshed. - K.N. Orange Sweet Essential Oil - warms and helps relieve tension. Bergamot & Frankincense Essential Oils - helps relieve tension. Labdanum & Cedarwood Essential Oils - soothes and comforts. Grapefruit Essential Oil - helps relieve stress. Lemon Essential Oil - clarifying. Clove Essential Oil - stimulating. Coriander Essential Oil - helps relieve mental fatigue. Rose Absolute Essential Oil - helps improve confidence. My word, what a scent! Very unique and different to anything I have ever tried. When the first spray hit my chest - it immediately reminded me of a bygone era. You are instantly transported to a different place and time and is so alluring as a result. 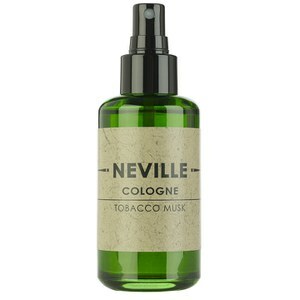 The tobacco is the predominant element in this fragrance, but it mingles with the musk so, so well. All the while, a light vanilla lingers in the background. It lingers in such a way that it compliments the tobacco and musk pushing way up front. Without doubt, probably the best blended fragrance I have come across and believe me, I have quite a collection. I blind bought this fragrance as I adore the scent of tobacco and musk. It happens to of been a truly worthwhile purchase. I cannot emphasize how unique this scent is. It is very strong and long lasting. I give this cologne my highest recommendation - but keep it within the 2-3 sprays and it is absolutely stunning.